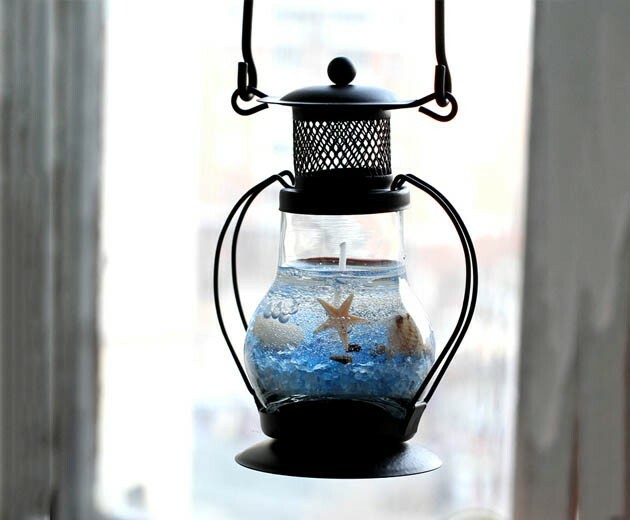 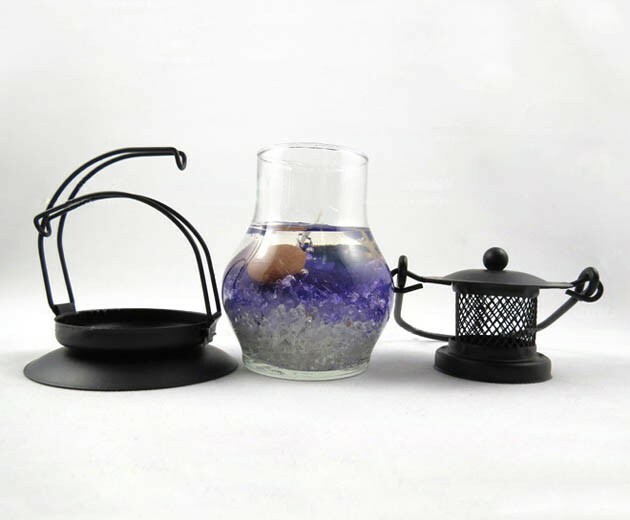 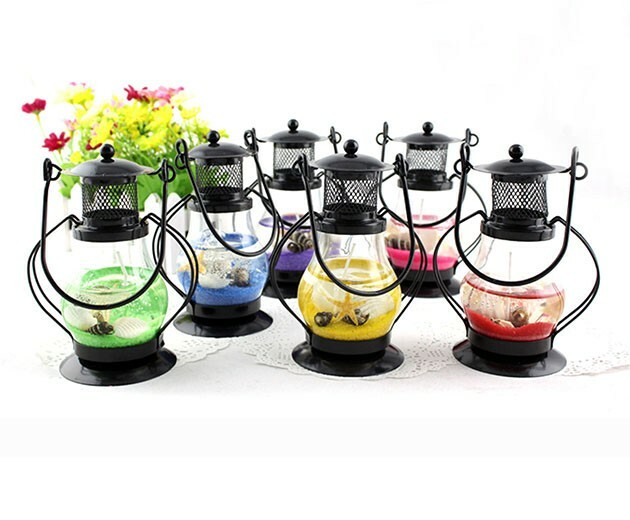 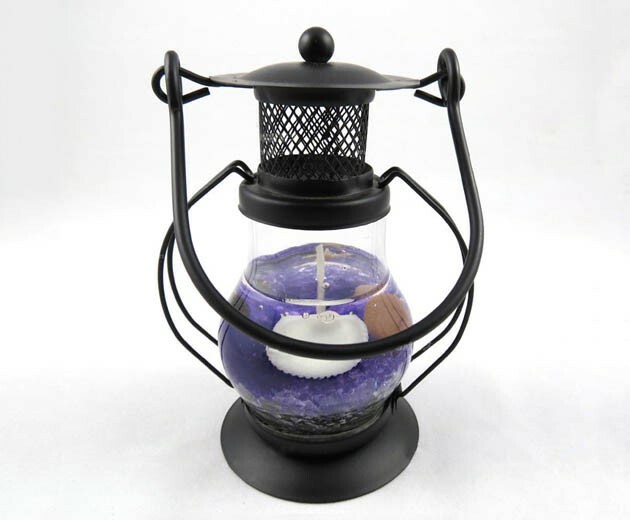 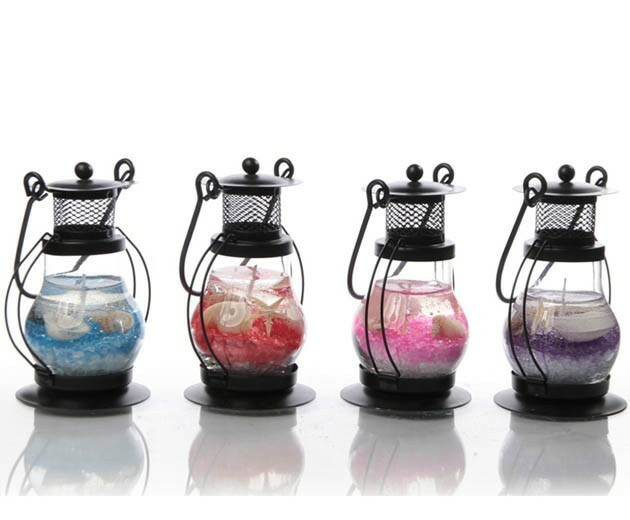 Very cute Aladdin's wedding candle lantern, crystal clear jelly candles, add colorful crystal fragments, conch and shells scattered among the jelly candles, create a dreamy ocean scenes.What a beautiful candle lantern! 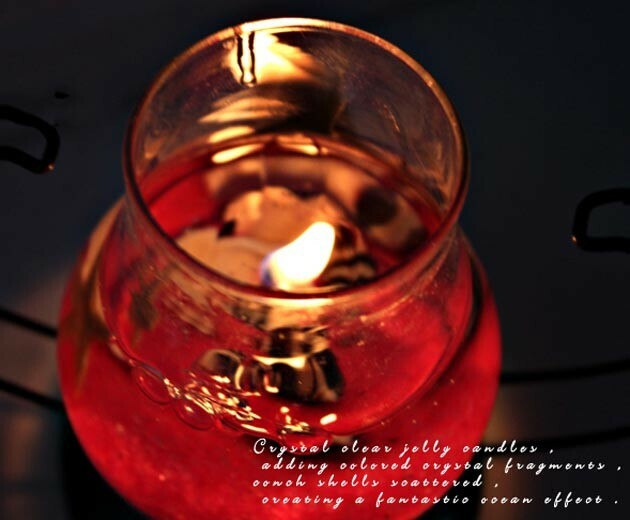 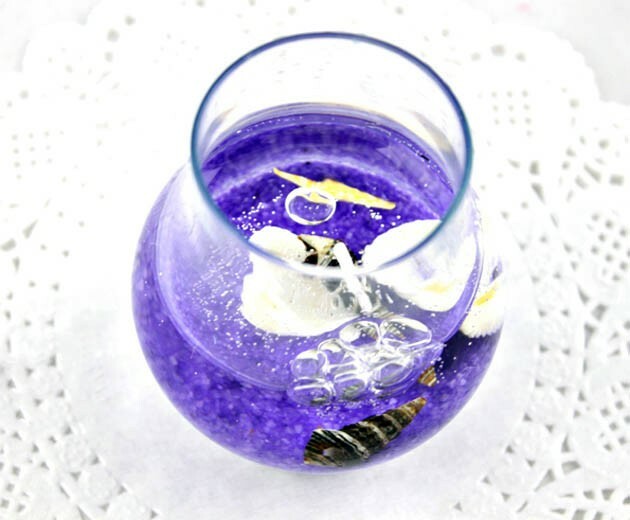 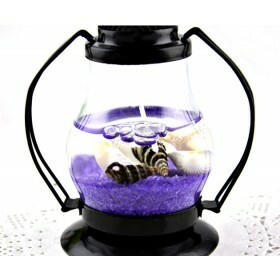 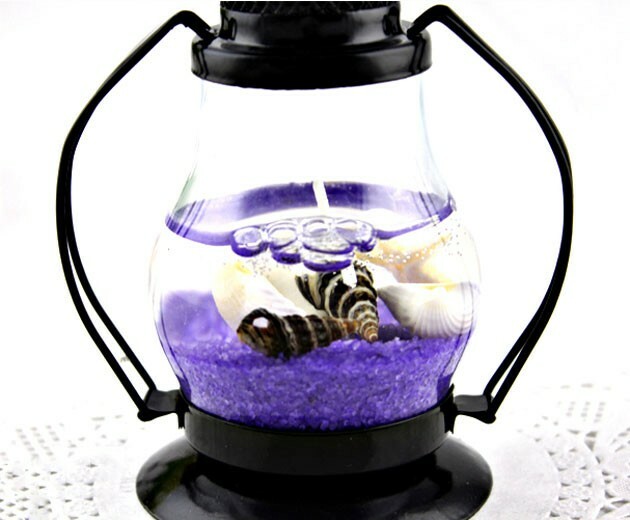 conch and shells scattered among the jelly candles, create a dreamy ocean scenes. 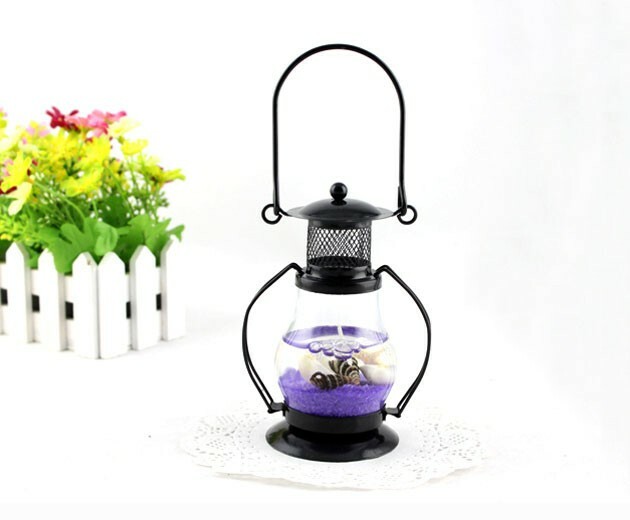 What a beautiful candle lantern! 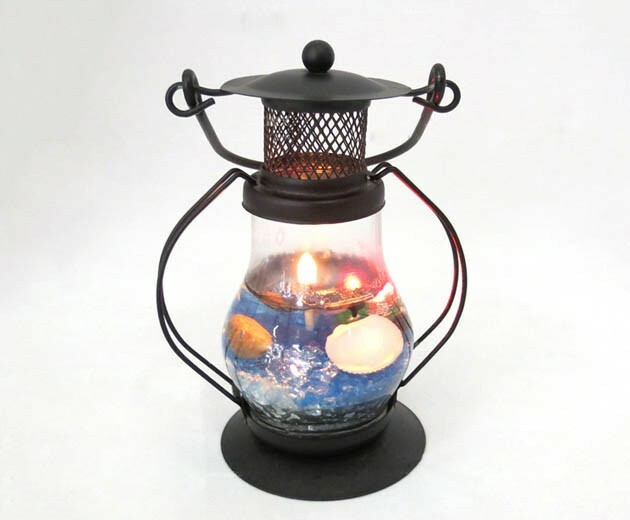 The unique windproof design make it Illuminate for you even outside. 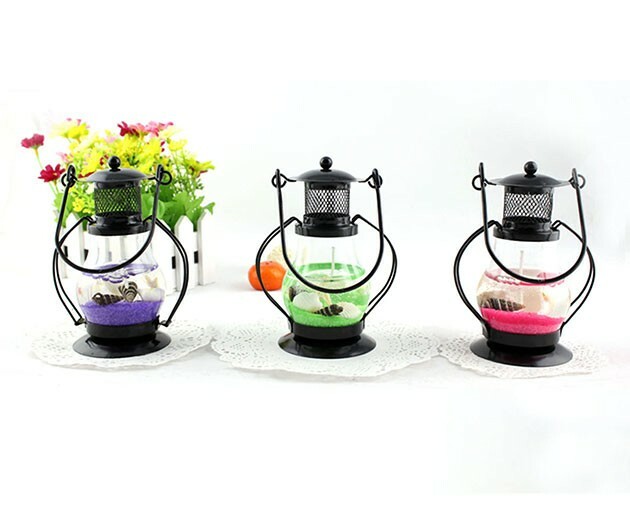 The portable iron stand make it been very convenient to use. 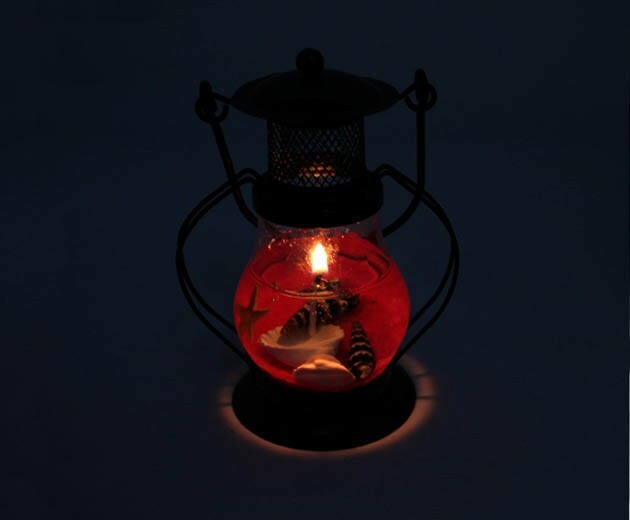 You can also change the candle and continued use after the candles burn, just as a iron candlestick in your life.